This statement means that in judging other men, skin color should be ignored–that it should not be a factor in evaluating their competence or moral stature. It follows that skin color should not be a factor in taking actions toward other people, e.g., hiring and admitting to universities. What has happened in the years following King’s murder is the opposite of the “I Have a Dream” quote above. Colorblindness now has been replaced with color preference in the form of affirmative action. No amount of rationalizing can disguise the fact that affirmative action involves implicit or explicit racial quotas, i.e., racism. Consider the realm of work as a case in point. Taking jobs away from one group in order to compensate a second group to correct injustices caused by a third group who mistreated a fourth group at an earlier point in history (e.g., 1860) is absurd on the face of it and does not promote justice; rather, it does the opposite. It promotes racism. You cannot cure racism with more racism. Singling out one group for special favors (through affirmative action) ignores the fact that people are individuals–not interchangeable ciphers in an amorphous collective. Consider a more concrete, though fictional, example. Suppose that since its creation in 1936, the XYZ Corporation refused to hire redheaded men due to a quirky bias on the part of its founder. The founder now dies, and an enlightened board of directors decides that something “positive” needs to be done to compensate for past injustices and announces that, henceforth, redheads will be hired on a preferential basis. Observe that: (1) this does not help the real victims–the previously excluded redheads; (2) the newly favored redheads have not been victims of discrimination in hiring, yet unfairly benefit from it; and (3) the non-redheads who are now excluded from jobs due to the redhead preference did not cause the previous discrimination and are now unfairly made victims of it. The proper solution, of course, is simply to stop discriminating based on irrelevant factors. Although redheaded bias is not a social problem, the principle remains the same when you replace hair color with skin color. The traditional solution to the problem of racism is colorblindness, or, from the other side of that coin, individual awareness. For example, in the job sphere there are only three essential things an employer needs to know about an individual applicant: (l) Does the person have the relevant ability and knowledge (or the capacity to learn readily)? (2) Is the person willing to exert the needed effort? and (3) Does the person have good character, e.g., honesty, integrity? The rational alternative to racial diversity, focusing on the collective, is to focus on the individual and to treat each individual according to his own merits. This principle should apply in every sphere of life–from business, to education, to law enforcement, to politics. Americans have always abhorred the concept of royalty, that is, granting status and privilege (and, conversely, inferiority and debasement) based on one’s hereditary caste, because it contradicts the principle that what counts are the self-made characteristics possessed by each individual. Americans should abhor racism, in any form, for the same reason. 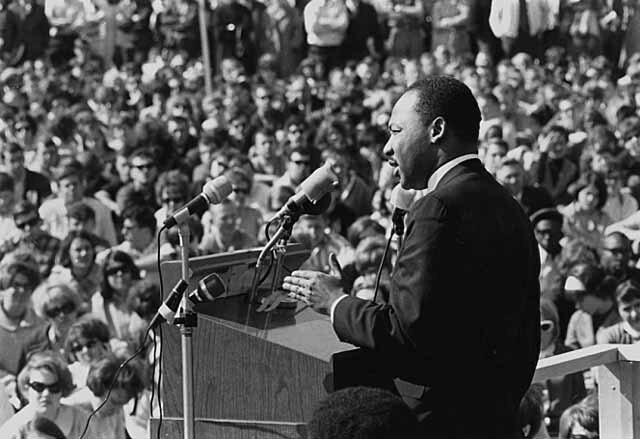 On Martin Luther King Day–and every day–we should focus on the proper antidote to racism and the proper alternative to racial thinking: individualism. We need to teach our children and all our citizens to look beyond the superficialities of skin color and to judge people on what really matters, namely, “the content of their character.” (c) 2005 Ayn Rand(r) Institute. All rights reserved.